Dinner guests come together as strangers and leave as friends. 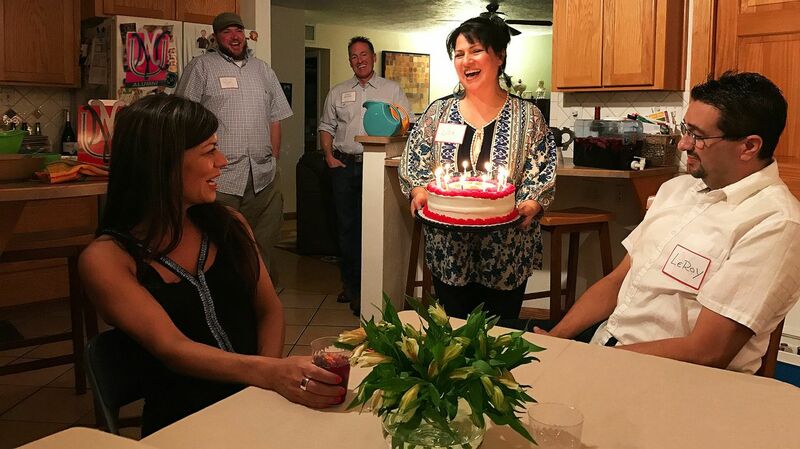 Dinner for 12 Lobos celebrated the University's 128th birthday. 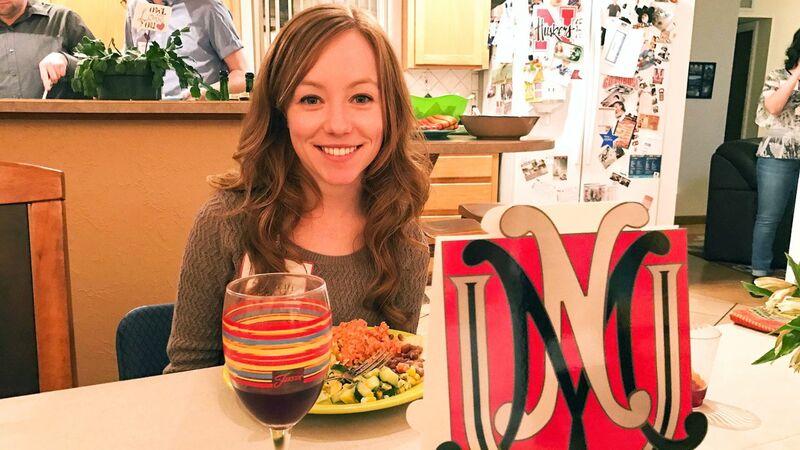 Dinner for 12 Lobos has become a UNM Alumni Association tradition. The invite is simple; join us for dinner. You don’t know where you’re going or who you will be dining with, but there is one thing that you do know—everyone’s a Lobo. And that’s exactly why the UNM Alumni Association holds the annual Dinner for 12 Lobos. For the past 16 years, Dinner for 12 Lobos has brought together thousands of students, faculty and local alums in hopes to inspire conversation, connection and community through a good meal with great people. Nine dinners were held all over Albuquerque over the weekend, including a dinner enjoyed by Valencia County Lobos. 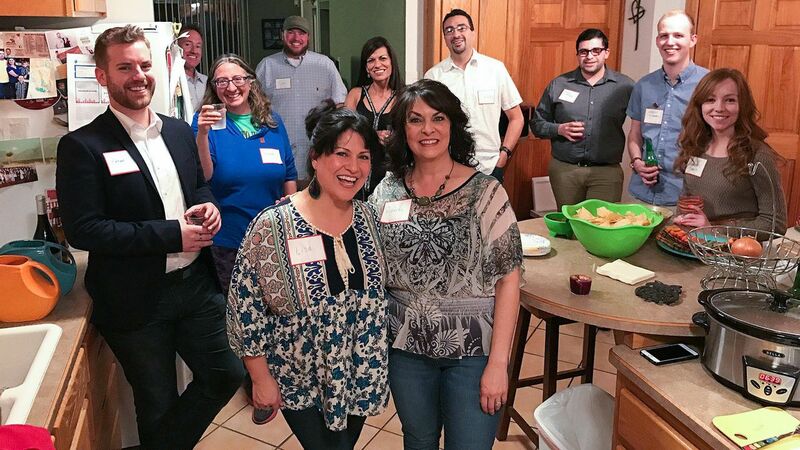 Local alumni volunteer to host a dinner in their homes in an effort to make UNM a smaller, friendlier place. Dinner guests come together as strangers and leave as friends. Other dinners guests reiterated that these gatherings are a great representation of how “each of us defines all of us” at the University. Other universities all over the U.S. have similar dinners for their communities with great success as well. As familiarity continues to grow with the event, the Alumni Association hopes that many more Lobos sign-up next year for yet another celebration of our pack.